Cape Finisterre is located on Spain’s northwest coast in the Galicia region. The cape itself extends from the mainland into the North Atlantic, threatening navigation between the north and south of Europe. With its rocky coastline and reefs, brutal winter storms, dangerous currents, and dense fog, this area has become the final resting place for many ships along with their crew. One of the worst maritime disasters occurred here the night of October 28, 1596, when a storm surprised a large Spanish armed fleet (Armada) under the command of Martín de Padilla. The Armada had departed from Lisbon to occupy the port of Brest (France), and it was composed of about 80 large ships including Spanish, Portuguese, and Mediterranean galleons, northern hulks (urcas), Cantabrian naos, galizabras, and other types of vessels. Written sources reveal that 25 ships, including some large galleons, sank that night off Cape Finisterre and 2,000 men drowned. More than four centuries later, in 2012, a project known as the Finisterre Project began, thanks to the support of the Institute of Nautical Archaeology (INA), Associate Professor Filipe Castro, Center for Maritime Archaeology and Conservation (CMAC), and the Regional Government of Galicia. 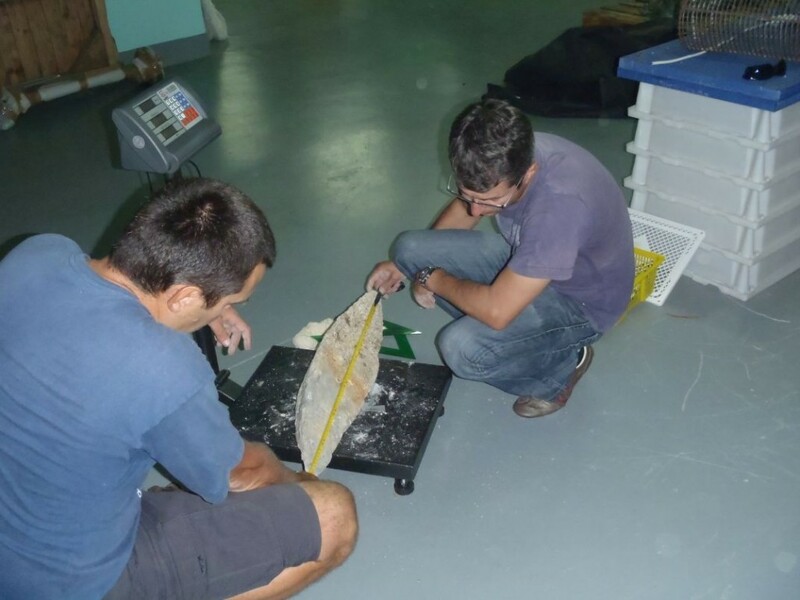 Between 2012 and 2015, a team of underwater archaeologists led by José Luis Casabán and Miguel San Claudio, documented the remains of several shipwrecks. These include the Punta Restelos shipwreck (1596) and the French corvette Bayonnaise (1803), both located in the Finisterre area, and the late 16th-century wreck, the Ribadeo galleon, in the north coast of Galicia. The preliminary results of the Finisterre Project have generated an ongoing series of publications and conference papers. Casabán, J.L., San Claudio, M., Castro F., González, R. (2013). The Finisterre Project. A trove of 16th-century Spanish shipwrecks, The INA Quarterly 40(1). 15-21. Casabán, J.L., San Claudio, M., Castro F., (2012). The Finisterre Project, The INA Quarterly 39(3-4). 21. Casabán, J.L., San Claudio, M., Castro F. (2012) The Finisterre Project: Shipwrecks from the Death’s Coast, CMAC News and Reports 3(2): 15-16. 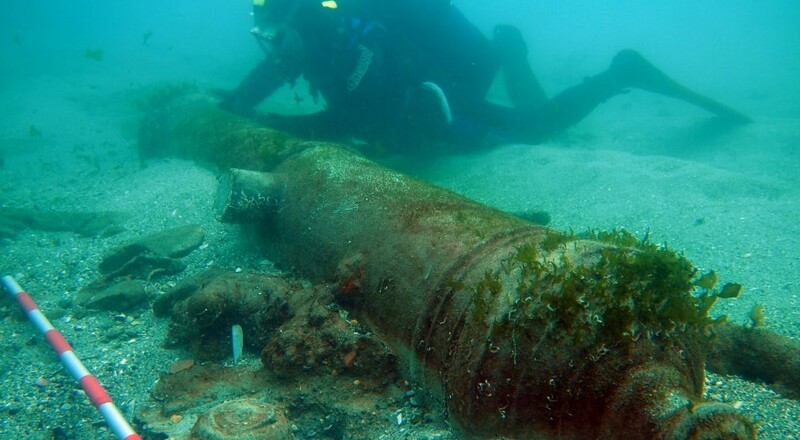 Ridella, G., Casabán, J.L, San Claudio, M (2015), A 16th-century bronze cannon from Naples in the Punta Restelos wreck-site and other Nepolitan pieces from the seas of the world. Paper presented at The Ordnance Society Conference 2015 – Guns from the Sea. Portsmouth (September 4-5, 2015), UK. Casabán, J.L., San Claudio, M., Castro F., González, R., Domínguez, M. (2014), El Pecio de Punta Restelos. Un buque de la Armada de 1596, Actas del I Congreso de Arqueología Naútica y Subacuática Española, Cartagena, 14, 15 y 16 de marzo de 2013, coord. Francisco Xavier Nieto Prieto, Manuel Bethencourt Núñez, Vol. 1, págs. 189-196. San Claudio, M., Gonzalez, R., Casabán, J.L., Castro F., Domínguez, M. (2014), El pecio de Ribadeo, un excepcionalmente bien conservado pecio español del siglo XVI, Actas del I Congreso de Arqueología Naútica y Subacuática Española, Cartagena, 14, 15 y 16 de marzo de 2013, coord. Francisco Xavier Nieto Prieto, Manuel Bethencourt Núñez, Vol. 1, págs. 169-178. Folgueira, V. (2014) Tratamientos de conservación de metales procedentes de los pecios del Proyecto Finisterre, Actas del I Congreso de Arqueología Naútica y Subacuática Española, Cartagena, 14, 15 y 16 de marzo de 2013, coord. Francisco Xavier Nieto Prieto, Manuel Bethencourt Núñez, Vol. 2, págs. 431-440. ABOVE: Archaeologists measure a ship-shaped ingot recovered from the wreck site (Photo: INA).